Welcome back to THE HORROR JAR, that column where we look at lists about movies, especially horror movies. Today we look at genre movies scored by Jerry Goldsmith, and there are a lot of them. Looking back at Jerry Goldsmith’s career, it’s amazing to see just how many horror and science fiction films he wrote the music for, and how memorable these scores are. There are so many, in fact, that I’ve divided this column into two parts. BLACK PATCH (1957) – Jerry Goldsmith’s first film score, a western written by tough guy actor Leo Gordon. SEVEN DAYS IN MAY (1964) – provided the music for this taut nuclear war thriller directed by John Frankenheimer and starring Burt Lancaster, Kirk Douglas, and Fredric March. It’s DR. STRANGELOVE without the laughs. PLANET OF THE APES (1968) – This Jerry Goldsmith score remains one of my favorites. The unusual music here really captures the feel of the Ape world and adds to the “madhouse!” emotions which Charlton Heston’s Taylor has to endure at the hands of his captors. Classic. THE ILLUSTRATED MAN (1969) – Science fiction film based on the short story collection of the same name by Ray Bradbury and starring Rod Steiger. THE MEPHISTO WALTZ (1971) – Obscure horror film with Alan Alda as a pianist who finds his soul in the hands of a scheming satanist. ESCAPE FROM THE PLANET OF THE APES (1971)- Goldsmith goes ape again as he scores the third film in the series, a creative flick in which apes Cornelius (Roddy McDowall) and Zira (Kim Hunter) travel back in time to present day Los Angeles. THE OTHER (1972) – classic 1970s horror movie scripted by Tom Tryon. THE REINCARNATION OF PETER PROUD – (1975) – 1970s horror flick starring Michael Sarrazin, Jennifer O’Neil, and Margot Kidder. THE OMEN (1976)- the big one, probaly Goldsmith’s most powerful score, and the only one for which he won an Oscar. Still a very scary movie today, and Goldsmith’s music is a major reason why. LOGAN’S RUN (1976) – classic science fiction film from the 1970s starring Michael York and Farrah Fawcett. DAMNATION ALLEY (1977) – Much-hyped science fiction movie about survivors in a post-apocalyptic world starring George Peppard and Jan-Michael Vincent was a major flop upon its release, as it was completely overshadowed by another science fiction release that same year, a little film called STAR WARS (1977). COMA (1978) – Horror thriller written and directed by Michael Crichton about sinister goings-on starring Genevieve Bujold and Michael Douglas. CAPRICORN ONE (1978) – another major flop from the 1970s, this thriller about a fake space mission to Mars featured a strong cast which included Elliott Gould, James Brolin, Brenda Vaccaro, Sam Waterston, O.J. Simpson (remember when he was that likable former football star who went on to make movies? ), Hal Holbrook, Karen Black, and Telly Savalas. DAMIEN: OMEN II (1978) – Goldsmith’s back at it again, composing yet another horrific score in this OMEN sequel that, while nowhere near as good as the original, remains highly entertaining today. Starring William Holden and Lee Grant. THE SWARM (1978)- One of the worst movies of the decade and certainly one of the worst “disaster” movies ever made. This tale of a swarm of killer bees attacking the United States was directed by Irwin Allen who must have been punch drunk over the success of his previous hits THE POSEIDON ADVENTURE (1972) and THE TOWERING INFERNO (1974) when he made this turkey. With an “all-star” cast which included Michael Caine, Katharine Ross, and Richard Chamberlain, and many many unforturnate more. It’s hard to believe that this storyline– deadly killer bees– used to be considered real and scary. I can’t believe I actually saw this one at the movies! THE BOYS FROM BRAZIL (1978) – Excellent thriller about a Nazi hunter (Laurence Olivier) on the trail of a fanatical Nazi (Gregory Peck) with plans to resurrect the Third Reich. MAGIC (1978)- The Anthony Hopkins horror classic about a ventriliouost and his evil dummy. 1978 was a busy year for Jerry Goldsmith, as MAGIC was the sixth film he scored that year! THE GREAT TRAIN ROBBERY (1979) – Period piece fun with Sean Connery and Donald Sutherland robbing a train in Victorian England. An underrated gem by writer/director Michael Crichton. ALIEN (1979)- Goldsmith just keeps on rolling here with his chillingly effective score for this science fiction classic which launched the career of Sigourney Weaver. STAR TREK: THE MOTION PICTURE (1979) – Goldsmith’s score for the first STAR TREK movie is my personal favorite. Kirk (William Shatner), Spock (Leonard Nimoy), Dr. McCoy (DeForest Kelley) and the rest of the Enterprise crew hit the big screen for the first time with mixed results. It’s highbrow science fiction to be sure, but it’s all so slow paced. This one continues to grow on me over the years, but I loved Goldsmith’s music from the get-go. Sure, his iconic new theme went on to become the main theme for STAR TREK: THE NEXT GENERATION, but that’s not what I love about this score. It’s all rather dark and ominous, a powerful score that remains the finest music score in the STAR TREK universe. THE FINAL CONFLICT (1981)- the final film in the OMEN trilogy, and by far the weakest, even with a young Sam Neill cast as the adult Damien. OUTLAND (1981) – Interesting science fiction movie with Sean Connery playing a Marshall on a mining colony on Jupiter’s moon tangling with some baddies without help from its inhabitants. It’s HIGH NOON (1951) in space. POLTERGEIST (1982) – A big hit in 1982, I’ve never liked this horror vehicle by Steven Spielberg and Tobe Hooper. FIRST BLOOD (1982) – provides the music for Sylvester Stallone’s first foray as Rambo. PSYCHO II (1983) – provides yet another very effective music score in this long awaited sequel to the Alfred Hitchcock classic, once again starring Anthony Perkins as the twisted tormened Norman Bates. It’s certainly not PSYCHO (1960) but this thriller by director Richard Franklin really isn’t all that bad. Vera Miles also reprises her role from the original. TWILIGHT ZONE: THE MOVIE (1983) – Muddled big screen treatment of classic Rod Serling TV series, a real head-scratcher when you consider the talent involved – Joe Dante, John Landis, George Miller, and Steven Spielberg each directed a segment and yet this film still is a clunker. And that’s all the time we have. Tune in for Part 2 of THE HORROR JAR: Jerry Goldsmith when we look at the second half of Goldsmith’s career. Coming soon! 350 million – copies sold of books written by Stephen King. 35 million- pounds of candy corn estimated to be bought for Halloween 2015 in the U.S., according to ABC news. 40,000– Dollar amount stolen by Marion Crane (Janet Leigh) in PSYCHO (1960). 278- The number of screen credits for Christopher Lee, according to IMDB. 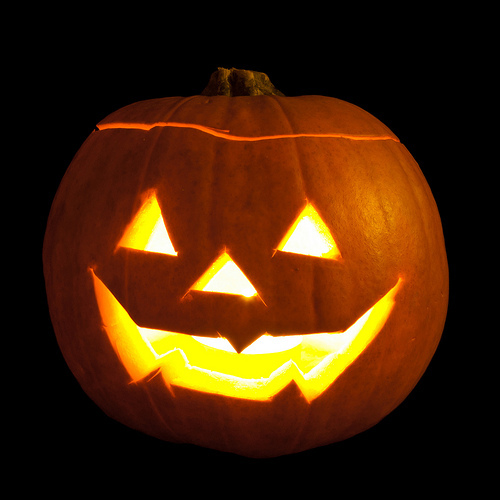 10 – The number of movies in the HALLOWEEN franchise. 5– The number of times Lon Chaney Jr. played Larry Talbot/the Wolf Man in the movies. 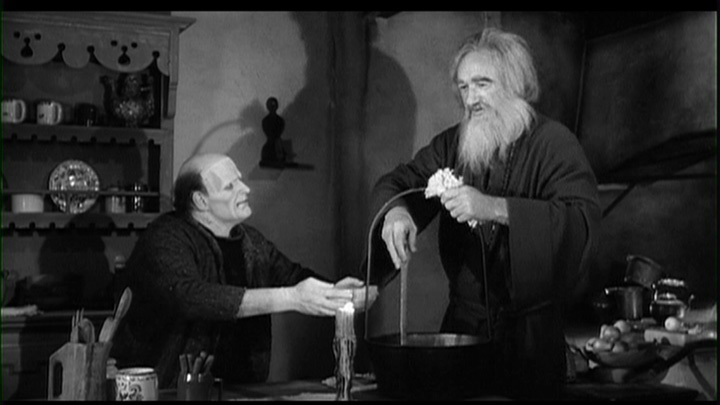 3– The number of times Boris Karloff played the Frankenstein Monster in the movies. 2– The number of times Bela Lugosi played Dracula in the movies. 1 – Number of times Christopher Lee played Frankenstein’s Creature in the movies. Welcome to another edition of THE HORROR JAR, that column where we feature lists of odds and ends about horror movies. Bernard Herrmann, the prolific film composer who composed music for some of Hollywood’s biggest movies during the 1940s-1970s, especially for director Alfred Hitchcock, wrote some of my favorite genre film scores. He scored nine of Alfred Hitchcock’s movies, including his most famous for PSYCHO (1960), and interestingly enough none of his Hitchcock scores were ever nominated for Oscars. Herrmann started in radio, scoring Orson Welles’ radio shows in the 1930s, including his infamous “The War of the Worlds” broadcast in 1938. Herrmann’s final film score was for Martin Scorsese’s TAXI DRIVER (1976). He was supposed to score Brian De Palma’s CARRIE (1976) but died of a heart attack just before he was start work on the film. He was 64. Bernard Herrmann’s first movie score. Not a bad way to start one’s career, scoring music for arguably the greatest movie ever made. Herrmann’s second movie score earned him his first and only Academy Award for Best Music Score. Working with Orson Welles’ again in this troubled production which suffered from major studio meddling and last minute edits and changes. Herrmann’s personal favorite music score. One of my favorite Bernard Herrmann scores. His music completely captures the otherworldly mood of this classic science fiction masterpiece about an alien, Klaatu (Michael Rennie) who travels to Earth to warn humankind that unless they give up their warring ways, they will face destruction by a superior race, and to give credence to his words Klaatu brings along his all-powerful robot Gort. This thought-provoking drama is science fiction at its best. Herrmann’s score here was later used in several episodes of the TV series LOST IN SPACE. This just might be my all-time favorite Bernard Herrmann music score. Rousing and adventurous from start to finish, it’s the type of score that’ll stick with you long after you’ve seen the movie. Some of Herrmann’s best work is in movies featuring the special animation effects of Ray Harryhausen. Provides the music for one of Hitchcock’s best films, the tale of a retired San Francisco police detective (James Stewart) suffering from acrophobia (fear of heights) who becomes entangled in a bizarre murder plot. With apologies to his work on PSYCHO, this just might be my favorite Bernard Herrmann score for an Alfred Hitchcock movie. His rousing music in this film also ranks among his best work, period. Another of my favorite Bernard Herrmann scores, but seriously, I can say that about nearly every score he wrote. 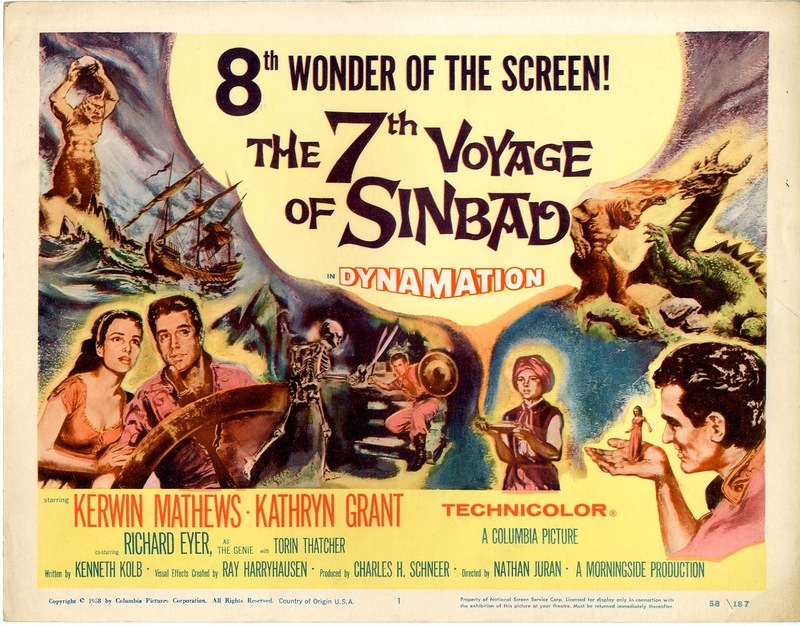 This fantasy film adventure based on the work of Jules Verne is 1950s filmmaking at its best: colorful, elaborate, and entertaining throughout. Alfred Hitchcock’s most famous shocker, and arguably Bernard Herrmann’s most famous music score as well. Likewise, it contains Hitchcock’s most famous and most studied scene, the shower scene, which also contains Herrmann’s most famous piece of music, the loud shrill of violins as the shadowy murderer strikes down poor Janet Leigh in the shower. Hitchcock originally wanted no music in this scene, which actually makes a lot of sense and would have worked, making the scene raw and brutal, but Herrmann argued that it needed music, and how can anyone argue with the end result? A rare example of one brief scene capturing the finest instances of artistry of two separate artists at the same time, as both Hitchcock and Herrmann produce their signature moments in this scene. Arguably the most famous and recognizable horror movie score of all time. Once again providing music for a film with special animation effects by Ray Harryhausen. Once again reunited with Ray Harryhausen, and once again one of Herrmann’s most memorable scores. This entertaining adventure about Civil War soldiers stranded on an island with oversized creatures is must-see viewing. The first twenty minutes, involving a daring escape from a Confederate prison, is riveting and suspenseful, complimented in full by Herrmann’s rousing music, and this is all before they even land on the island! Classic thriller about murder and revenge was a financial flop upon its initial release. Reunited once again— and for the last time— with Ray Harryhausen, and yes, once more, another exceedingly memorable film score. This one contains the classic sword fight between Jason and his men and Harryhausen’s animated skeletons. The scene also includes some of Hermann’s best music. But, there’s no music in THE BIRDS. True. Herrmann served as a sound consultant for this movie. Supposedly it was his idea not to have music in THE BIRDS. This Hitchcock drama was considered a misfire on its initial release, but its reputation has grown steadily over the decades. Classic novel; not so classic movie. Early Brian De Palma thriller. Campy horror movie about a killer baby was a hit in the summer of 1974. De Palma thriller with shades of Hitchcock’s VERTIGO. Herrmann’s score was nominated for an Oscar. Classic Scorsese film earned Oscar nominations for stars De Niro and Foster, as well as Bernard Herrmann who was nominated twice in the same year. Herrmann lost out to Jerry Goldsmith for his score for THE OMEN. Herrmann’s final movie score. Herrmann died of a heart attack on December 24, 1975, just hours after he had finished the score for TAXI DRIVER. He was 64. 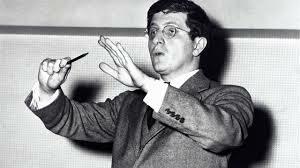 Bernard Herrmann enjoyed a long and prolific career. For me, I will always associate his music with the fantasy films of Ray Harryhausen and the thrillers of Alfred Hitchcock, and if I had to pick my three favorite Herrmann scores, they would be NORTH BY NORTHWEST, PSYCHO, and THE 7TH VOYAGE OF SINBAD. Looking for a good read this Halloween? 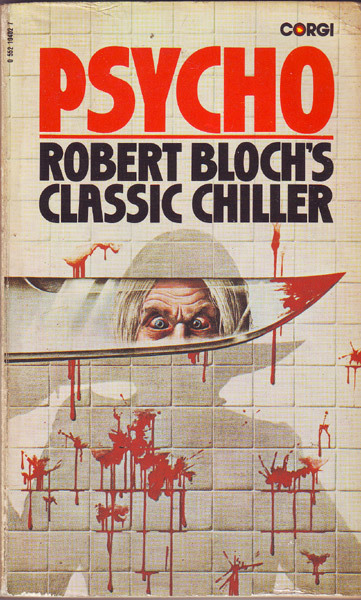 Look no further than Psycho by Robert Bloch, the novel on which Alfred Hitchcock’s classic movie is based. Hitchcock’s film is such an icon of horror cinema, it’s easy to forget that a novel called Psycho existed first. And whether you’re reading it for the first time, or re-reading it for the umpteenth, it’s still a powerful read. For me, I enjoy comparing the book to the movie, seeing things that Hitchcock and screenwriter Joseph Stefano kept in, things they left out, and things they changed. I also enjoy reading the original ideas by Bloch. With very few exceptions, the story of Psycho as we know it today was entirely created by Bloch. Hitchcock and Stefano added very little in the way of ideas original to the movie. The story of Psycho is so well known at this point, and for those folks unfamiliar with the movie or the book, the less they know about the plot the better, so I won’t go into much detail here about the story. It’s best for you to discover it on your own. 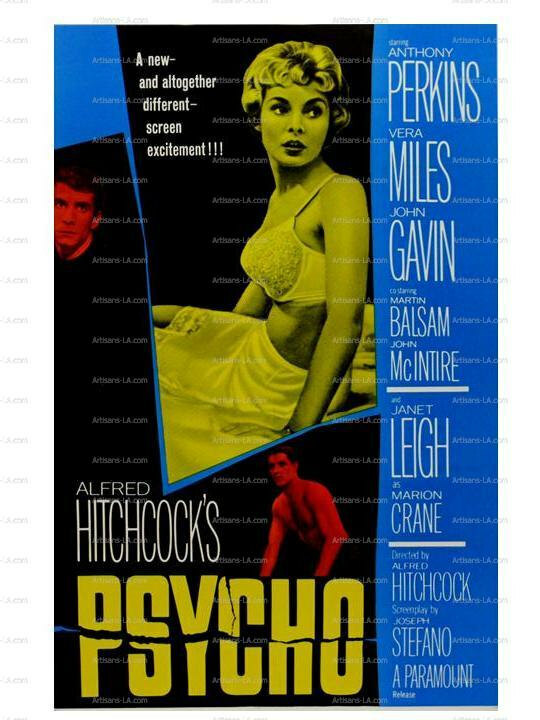 Basically, Psycho is the story of a peculiar young man named Norman Bates who lives with his domineering old mother and runs a small motel located on a back road off the main highway. A young woman, Mary Crane, has stolen a large sum of money from her employer, which she plans to use to help pay her boyfriend Sam Loomis’ debts so they can get married. On her way to visit Sam, she stops at the Bates Motel to spend the night. She ends up having a conversation with Norman Bates over dinner, and later that night returns to her room where she takes a shower—. Sometime later, Mary’s sister Lila and a private investigator name Arbogast arrive in Sam’s town looking for Mary, and when Sam tells them he has no idea where Mary is, that she never came to see him, the search continues. Arbogast finds evidence that Mary had stayed at the Bates Motel, and he tells Lila and Sam this news, but when Arbogast himself disappears, Sam and Lila finally decide to go to the local sheriff, who tells them he believes Arbogast has pulled a fast one on them, because if he told them he was returning to the Bates Motel to question Norman Bates’ mother, he was lying, because Norman Bates’ mother is dead. And thus the mystery deepens, leading to one of the most memorable conclusions ever in a horror movie, and a pretty good one for a novel as well. Mary made up her mind very quickly, once she saw the fat, bespectacled face and heard the soft, hesitant voice. There wouldn’t be any trouble. The novel also introduces Norman Bates right away, in Chapter 1, unlike in the movie where the first third of the movie is all about Marion Crane (she’s Marion in the movie, Mary in the book.) It’s a great way to open the novel, as the first chapter probably does a better job defining Norman Bates’ character than the entire Hitchcock movie. Don’t get me wrong. 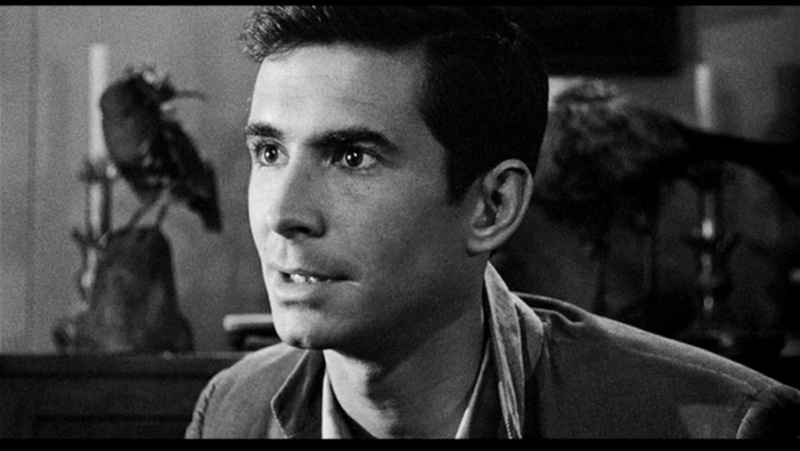 The Hitchcock film nails Norman Bates, mostly because of Anthony Perkins’ phenomenal performance, but here in the novel, especially in the opening chapter, we get inside Norman’s head and immediately are privy to interactions with his mother that define him with the kind of depth you can only find in a novel, as it’s nearly impossible to accomplish in a movie. “That’s the real reason you’re still sitting over here on this side road, isn’t it, Norman? Because the truth is that you haven’t any gumption. Never had any gumption, did you boy? She’d always laid down the law to him, but that didn’t mean he always had to obey. Mothers sometimes are overly possessive, but not all children allow themselves to be possessed. This is all from Chapter 1, which really sets the tone for the rest of the novel, as right off the bat we get a full understanding of the dynamic between Norman and his mother. We see and understand what his mother has done to him, and what he has become in the process. I think it’s better defined here in this opening chapter than anywhere in the Hitchcock movie. Of course, the defining moment of the movie PSYCHO (1960) is the shower scene, one of the most memorable and most studied scenes in film history. Now, whereas the book obviously isn’t going to capture the cinematic craftsmanship of Hitchcock, the bottom line is Bloch doesn’t have to because his version is even more brutal than the film version. His shower scene ends with a beheading. Nuff said. Granted, I enjoy the first half of the novel better than the second. I find the chapters about Lila and Sam’s investigation much less captivating and interesting than the ones about Norman Bates and his mother. During these later chapters, Norman is in them less, and the novel just isn’t as creepy when he’s not present. The same goes for his mother, whose presence is felt much more in the book than in the movie. When she’s in the novel, she’s a monstrous character, and Bloch does a masterful job with her. She’s much less of a force in the movie, where for obvious reasons, we don’t see her much. There’s a great scene after Norman has spent hours cleaning up after his mother’s crime and meticulously disposing of the body. He returns to his house, exhausted. He collapses in his bed and soon hears his mother enter the room. Yes. That was the way it should be. She was there to protect him. He was there to protect her. Just before he drifted off to sleep again, Norman made up his mind. They wouldn’t talk about what happened tonight- not now, or ever. And he wouldn’t think about sending her away. No matter what she did, she belonged here, with him. Maybe she was crazy, and a murderess, but she was all he had. All he wanted. All he needed. Just knowing she was here, beside him, as he went to sleep. Psycho is an excellent read, especially around Halloween. If you want to curl up with a frightening book this Halloween, grab a copy of Robert Bloch’s Psycho and invite Norman Bates and his mother into your home. It’ll get under your skin in ways the Hitchcock film doesn’t. Bloch brings you in so deeply into the mindset of Norman Bates and his mother, it’ll leave you feeling uncomfortable and dirty, in need of a shower. Then again— maybe you better opt for a bath.